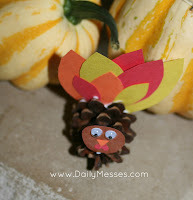 These cute little turkeys make an easy craft to do with your kids and a great table decoration! 1. 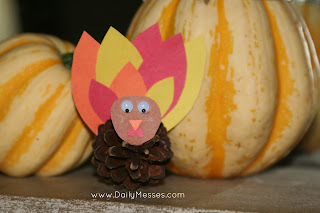 Cut out a head shape from the brown construction paper. 2. 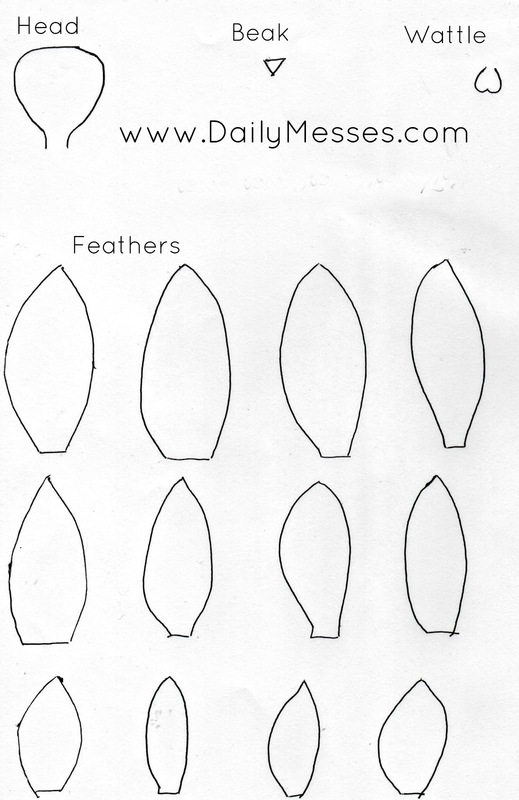 Cut out a small triangle from the orange paper for the beak. 3. Cut out a heart shape from the red paper for the wattle. 5. Glue on the wattle. 8. 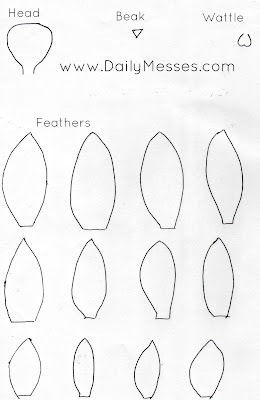 Place glue on the bottom of the feathers and stick in between pine cone slots. 10. Wipe off any excess glue before it dries.